Charles W. Bowie, Sr., 84, of Abbeville, husband of the late Margaret Latham Bowie, died Tuesday, November 07, 2017 at the Abbeville Area Medical Center. He was born in Abbeville to the late James Neuffer and Sally Lou Holmes Bowie. Charles retired from Milliken & Co. – Abbeville and Sharon Plants after 47 years of service. He also retired from the Abbeville City Fire Department, served on the Abbeville Rescue Squad and volunteered with Meals on Wheels. 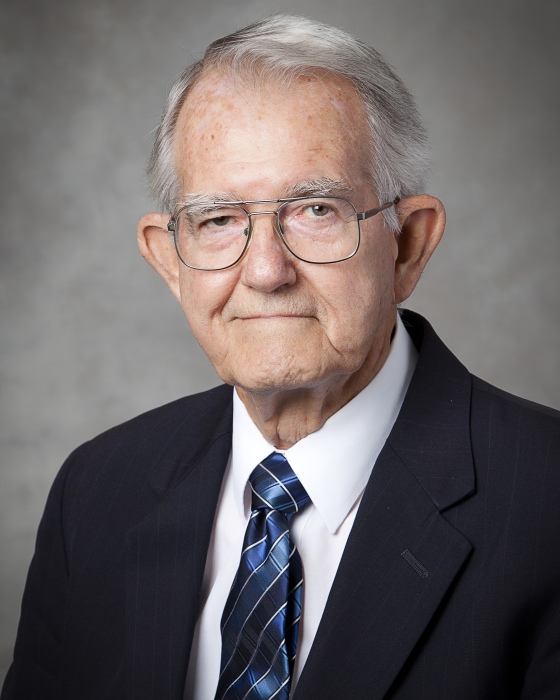 Charles was a devoted associate of Harris Funeral Home for the past 18 years. He was a member of South Side Baptist Church having taught Sunday School and enjoyed singing in the choir until his health no longer permitted. Charles’s life was exemplified by his gentle heart, faithfulness to God, love for family and friends and loyalty to work. In addition to his parents and wife, he was preceded in death by three brothers, Francis, Pete and Maurice Bowie. Charles is survived by two sons, Billy Bowie (Debra), and Mike Bowie (Cindy); a sister, Leila Bowie Blanchett; two brothers, Wade Bowie (Jewell), all of Abbeville and Rev. Wayne Bowie (Emma) of Simpsonville; two grandchildren, Niki Bowie and Colton Bowie; a great-grandson, Brian Cole; cherished friend, Madeline Ellis Carroll, all of Abbeville; and his family at Harris Funeral Home. The family extends their sincere appreciation for the love and care that Charles and the Bowie family received while at the Abbeville Area Medical Center. The family will receive friends 5:00PM – 7:00PM, Wednesday, November 8, 2017 at Harris Funeral Home. Funeral services will begin at 11:00AM on Thursday, November 9, 2017 in the funeral home chapel with Rev. Earl Hartley and Rev. Zack Little officiating. Burial will follow in Forest Lawn Memory Gardens. The family is at the home of his sister, Leila Blanchett. Memorial contributions, in memory of Charles, may be sent to South Side Baptist Church, 505 W. Greenwood Street, Abbeville, SC 29620.